In my video installation Twilight (2010, world premiere) toads hunt for synthetic worms in laboratory conditions. 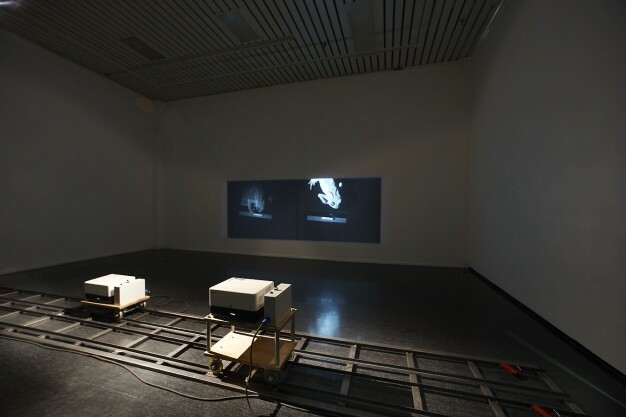 The work consists of two video projectors mounted on rails, allowing the projected images to move slowly across the wall of the gallery. The toads are driven by the timeless mission of obtaining sustenance. The rhythm of the mechanical conveyor belt is like the cycle of life itself: the waiting, the reward, the light, the darkness. Childhood memories of the Pong video game (Atari, 1972) and its anaesthetic movements also whirled in my mind. Twilight is a continuation of my further works that described the merging of man and technology. The video material is from a research project carried out in 1997 by the University of Helsinki´s Department of Biological and Environmental Sciences. The film installation Täydellisen pimennyksen vyöhyke - The Zone of Total Eclipse (2006, Finnish premiere) occupies the realm of reflections and shadows between the planets. It is a tribute to the pioneers of early scientific films. The work is based on film and audio material recorded in Poroluoto island, Kokkola in 1945 by the Finnish Geodetic Institute during a total eclipse of the sun. 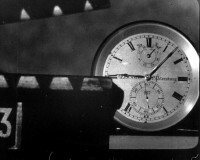 In an unsuccessful experiment, film equipment was used to try and measure the exact geographic distance between the European and North American continents based on movements captured by the cameras, audio signals transmitted into space and complex mathematical equations. 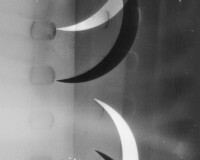 The work includes two separate reels of 16mm film: one positive (the sun) and one negative (the moon). 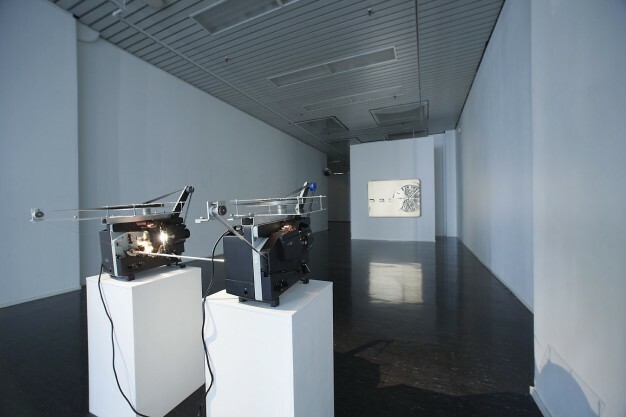 These reels are identical in terms of content and are projected on top of each other slightly out of synchronisation using two specially constructed projectors. The length of the film loop is 62 metres.